CAT Admit Card 2018– IIM Calcutta, the exam conducting authority, has released the admit card of CAT 2018 on 24 October 2018. 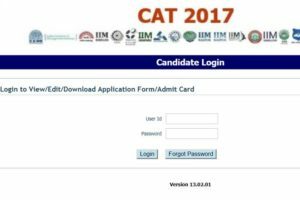 Candidates should have their CAT User ID and Password to download the CAT 2018 admit card. Aspirants who have submitted their application form before the last date will be able to download the CAT hall ticket. Candidates can download the admit card, from the official website of IIM CAT, till the commencement of the examination. It is an important document that candidates should produce at the time of entrance test. IIM Common Admission Test 2018 will be conducted in online mode on 25 November 2018 (Sunday). We have hosted the direct CAT admit card 2018 download link on this page for the convenience of the candidates. Read the article to check CAT 2018 admit card date and process to download. 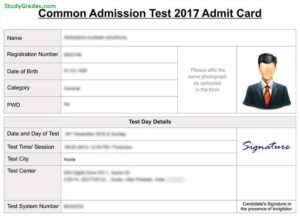 How to download CAT Admit card 2018 Online? Click the link “CAT 2018 Admit Card” available on the home page of the website. Enter your User Id & Password correctly in the given provided blanks. Download the file and take a printout of the same for future reference. The candidates have to bring a photo id proof along with the CAT Admit card such as Voter ID, PAN card, ADHAAR Card, Passport, Driving license. Do not spoil or damage the admit card. Make sure that all the details are correctly printed on CAT 2018 admit card. In case of any error, immediately contact the officials to get it corrected. If any candidate forgets the login ID or password, then there is a provision to get the login details. On the login page, an option to forget password will be provided. Candidates have to click the same and enter the registered email-ID. A link to create a new password will be received by the candidates. Click the link and create a new password and login to your account to download the CAT admit card. In case of any discrepancy, candidates can contact the Helpline Desk number: 1800-266-0207 (Toll-Free) or email at cathelpdesk@iimcat.ac.in from Monday to Saturday (9 am to 5:30 pm). Stay Connected With StudyGrades for latest updates on CAT Admit Card 2018..! !